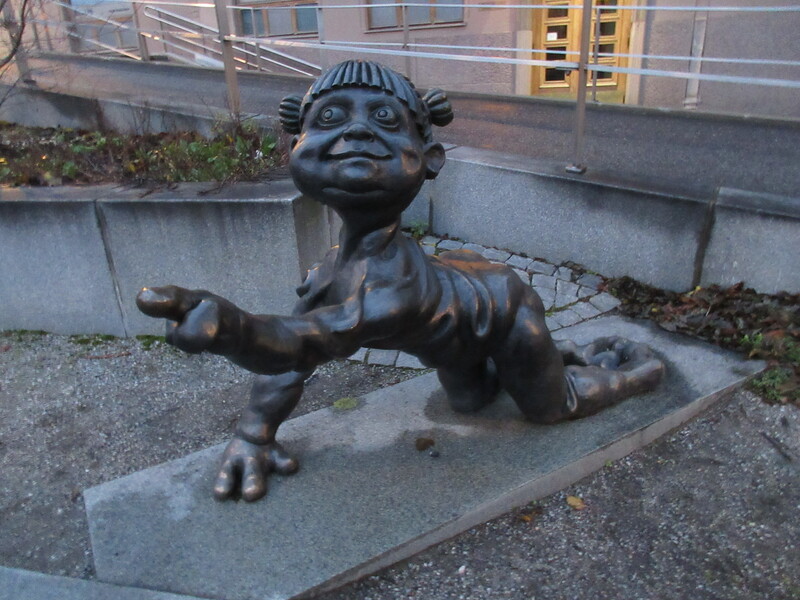 This was not the creepiest piece I saw in Turku, not to suggest that I usually measure sculptures by the amount of creepiness they elicit. That just happened to come up here a couple of times. The little girl to the left wins that award from me. It reminds me of something, but I can’t put my finger on it and online searches didn’t help. I’m more of a fan of other pieces I saw around town. But not being a fan does not mean I don’t enjoy stumbling upon a piece. As I noted, I get a kick out of being surprised by such works when I explore a city. 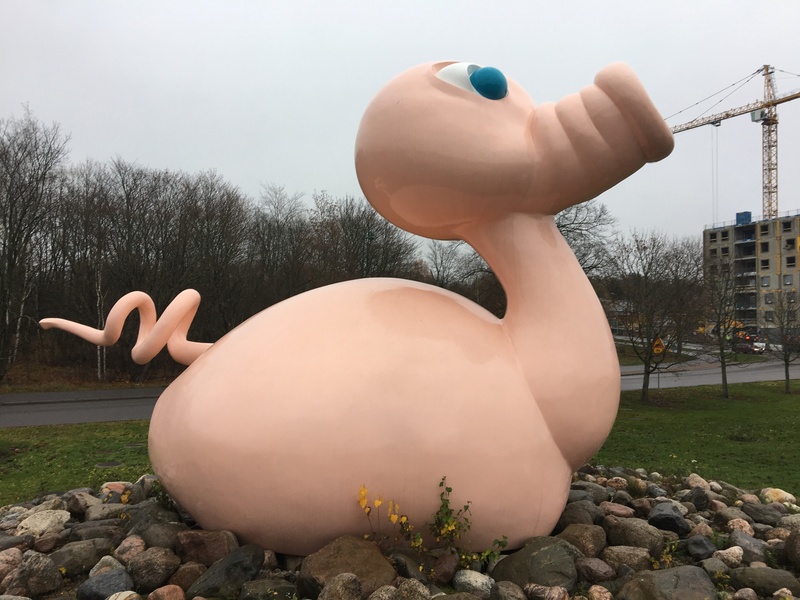 What’s some of the more unusual public art you’ve seen? I’d love to see examples if you can point to them. 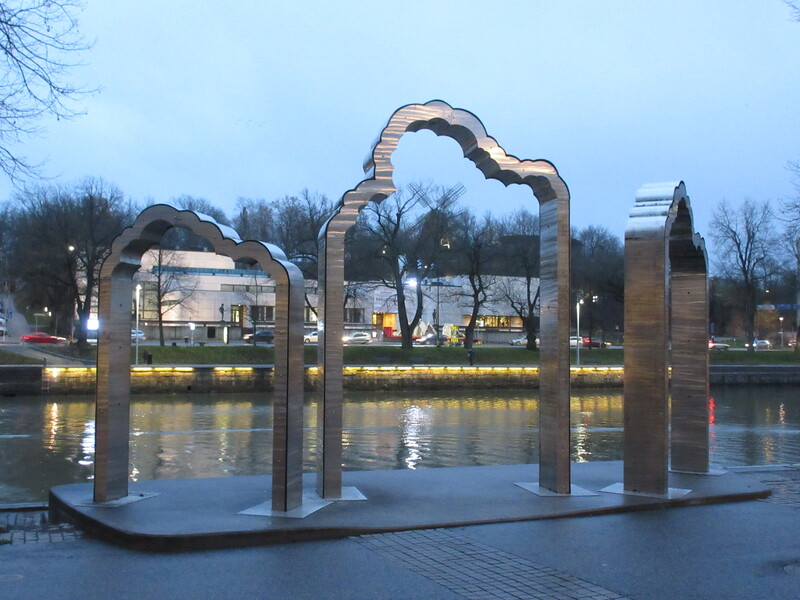 For more on what public art I found walking the streets of Turku, click here. I love this series Eszter. Thanks, Alan! I wanted CT to have more art posts and also wanted to write more about art. 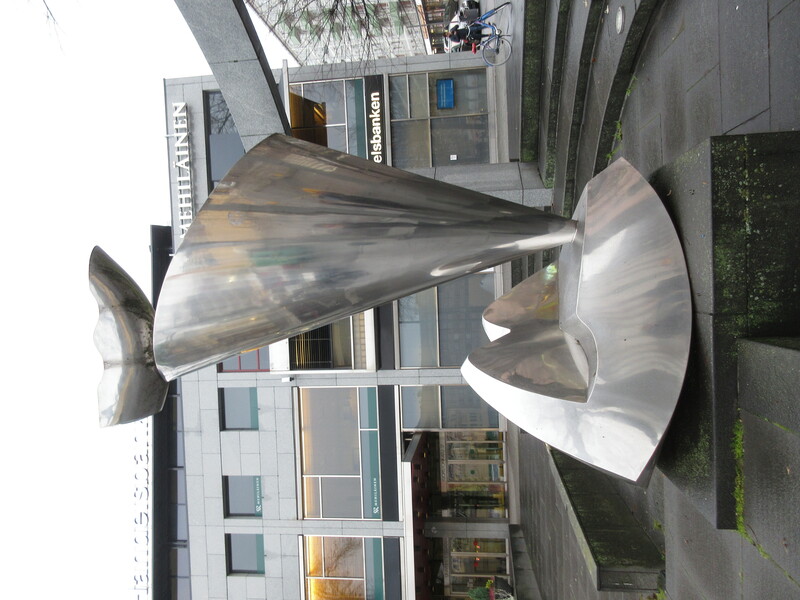 The sculpture of the little girl is part of a four-sculpture instalment by Kari-Petteri Kakko called “Tähtiin tähyävät” (“Those who gaze at the stars”). 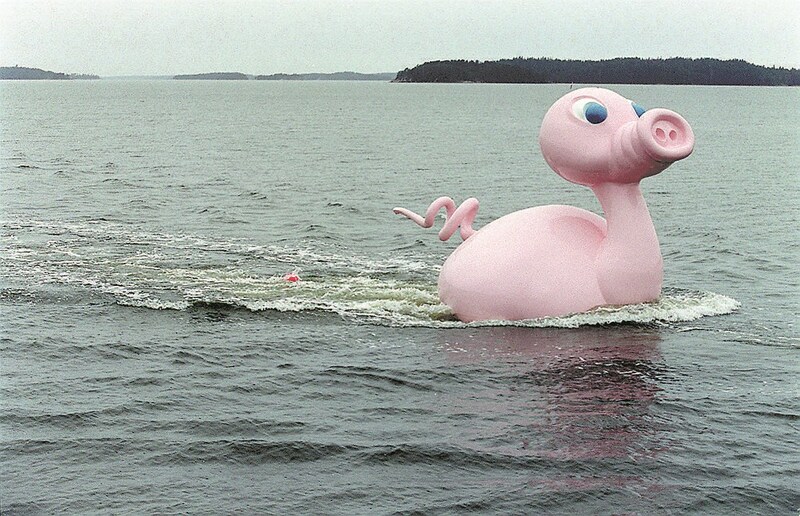 There’s more information and pictures availablehere, although it’s possible that the page is available only in Finnish. Thank you, Ike, that’s very helpful! I was able to translate the page. I like the theme of looking at the stars. 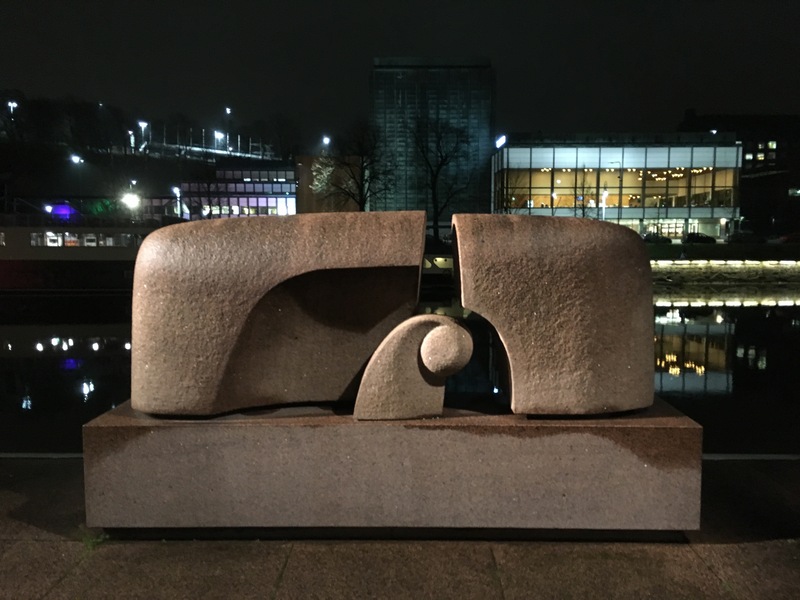 Indeed, it encourages exactly what I appreciate about public art: to stop for a moment and contemplate your surroundings differently than you would have otherwise. I looked up more information about the artist and I doubt I would have come across his work before so I still don’t know what it reminds me of. Gollum trying to convince Frodo of his love and loyalty (minutes after trying to murder him)?